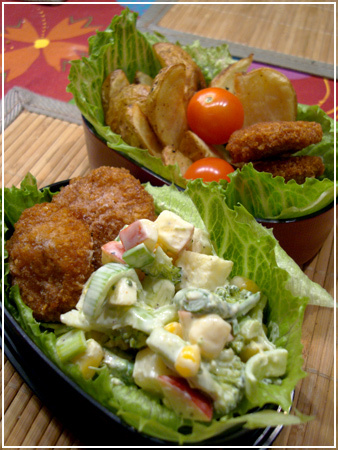 Similar to the previous one – ovenbaked potato slices, cherry tomatos and falafel in the big container, more falafel and salad with apple, leek, broccoli, corn and asparagus in the small container. 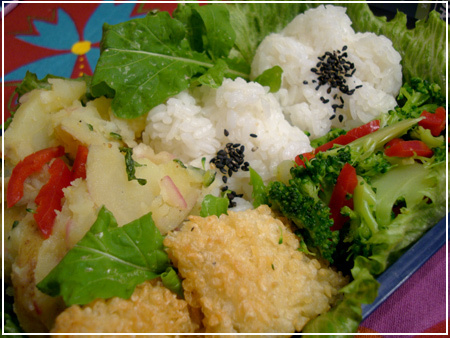 This bento was made in 5 minutes in the morning this week. 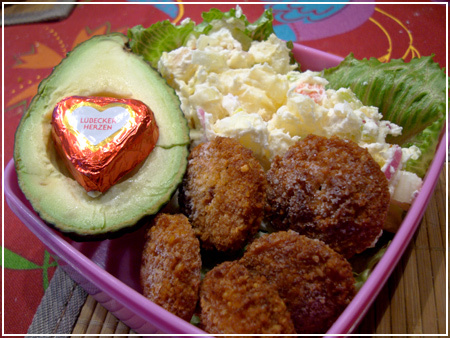 Potato salad with leek and apple on lettuce (leftover from dinner), frozen falafel, half an avocado and a chocolate heart. Leftover millet and ratatouille, kale with peanuts, sugar snaps and a tiny pepper in the big box. 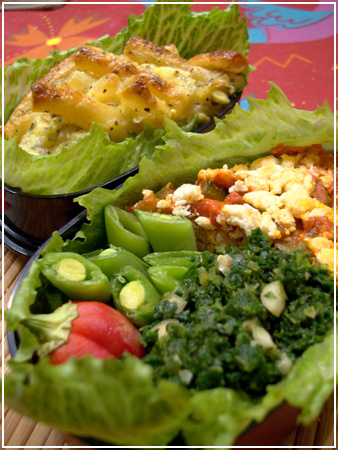 Pasta bake in the small box.